We know many figures from history because of the letters they left behind. John Adams, Abraham Lincoln, and many others expressed themselves through letters, many of the letters survived to today and provide wonderful insight into the time and place that these individuals lived. You write letters everyday too. Whether by email, Facebook post, blog post, or text message, you write letters. The challenge is that many people delete their emails or text messages and with it, delete a portion of their own history. The Daily Journal Project by Gina Sekelsky tipped us off to this absolutely brilliant idea: saving some of your most important conversations (text messages) in a journal. In her post, she shows pictures of her text messages she’s drawn in her journal, her messages and the replies. Check it out below. But What if My Texts aren’t Meaningful? No better time to start making them meaningful. However, you might be surprised just how much of yourself is in the text messages you send. You don’t have to record all your messages. Just save a funny conversation, or one where big news was shared and you want to remember how you felt about it. The sky’s the limit. Try it out, you may just fall in love with a new way to capture moments with friends and family! Maybe after a crazy summer, you need a little healing, and not just from the sunburns. 🙂 Life can get hectic any time of the year, but sometimes, there’s a deeper need, “prunes for the soul,” as the article by Monkey on Swan Waters emphasizes. A healing journal can help find “meaning in the mess” and more importantly, it can help you work through issues and track your journey’s progress. You can check out the article and their tips for a healing journal here. What Journal might be a Good Fit? If you want to keep a journal with you on the go, our Nepali Companion Notebook is slim and trim, and comes in three sizes. Perfect for the mobile journal writer. 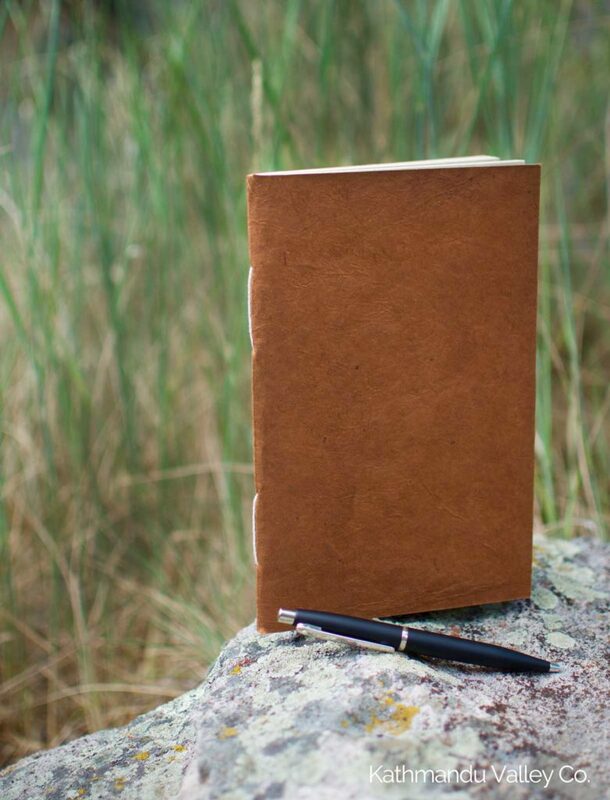 The handmade lokta paper is unique, making each journal one of a kind just like you!